Heirloom Cascabel Pepper – Little Bell is so named because of how the seeds become loose and rattle around in the dried chilis when shaken. 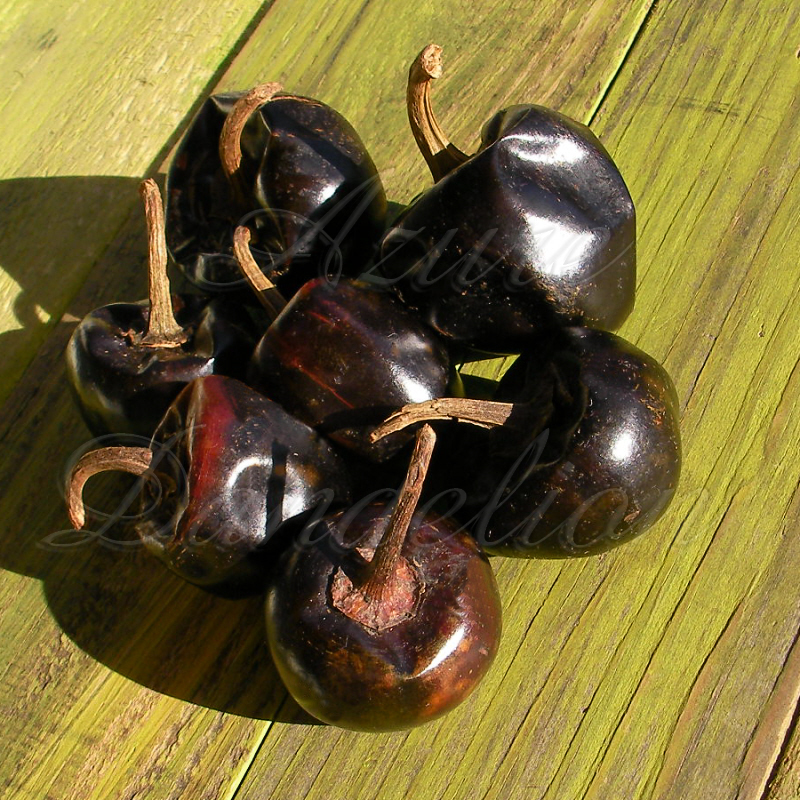 Cascabel, Guajones or Coras is the name used for the dried chili. Cascabel is known as Bola Chili in it’s fresh state. This pepper has been nicknamed by many as Jinglebell and Rattle. This strong plant grows 2 to 2 1/2 foot tall and is a prolific producer of 1 1/4″ practically round fruit. The peppers start out green turning bright red when ripe. The thin walls of Heirloom Cascabel Chili Pepper make this variety a perfect drying pepper. The dried peppers turn dark red.